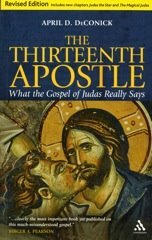 Amazon has a link up to the new paperback revised edition of The Thirteenth Apostle. It is only available for pre-order at this point. But it should come off the presses any day now.